Two subsidiaries of publicly listed construction group Strabag SE have been awarded the contract in Poland to design and build two sections of the S7 expressway north of Warsaw. 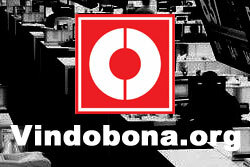 The two orders have a total value of PLN 828 million, which is equivalent to approx. EUR 198 million. Listed builder Strabag won a EUR 118 million (USD 135.4 million) contract in Poland for the construction of a 15 km motorway section between Woźniki and Pyrzowice plus one motorway maintenance facility, two rest stops, 29 bridges and wildlife crossings. Completion is supposed to take place in mid-2018. 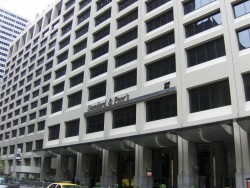 Rating agency Standard & Poor’s (S&P) has raised the credit rating of publicly listed construction group Strabag SE by one level from BBB- to BBB. The outlook remains at “stable”. A consortium comprising Strabag Sp. z o.o. and Heilit+Woerner Sp. 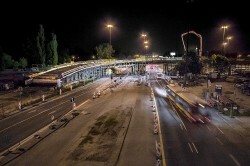 z o.o, two subsidiaries of Austrian listed company Strabag SE, has signed a contract for the construction of a stretch of the planned S7 expressway in the east of Kraków, called “Trasa Nowohucka”, which will run between Rybitwy and Igołomska. Publicly listed construction group Strabag SE has been contracted by Russia’s Tula-Steel Company to build a steel production and rolling mill in Tula, some 200 km south of Moscow. The industrial complex will be constructed in close vicinity to Tulachermet’s existing iron mill. The contract value is € 300 million. Construction of the project will begin in autumn 2014 and is expected to be completed within 36 months. Also today, BWB the Austrian antitrust authority has approved the acquisition of a total of 25% in Strabag by Oleg Deripaska, the Russian oligarch. 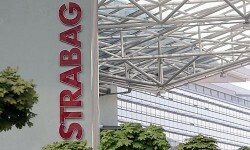 Managing Director of STRABAG SE subsidiary BRVZ to join management board of STRABAG SE effective 1 January 2013. Appointment of Thomas Birtel as Deputy CEO. 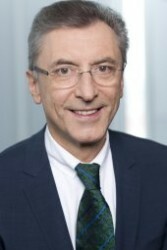 Fritz Oberlerchner to resign from the management board effective 30 June 2012 and to be appointed director of Strabag 2013ff task force. Thomas Birtel designated as CEO as of June 2014.